After moving house last year, ive finally got round to mounting some of my collection, pics are naff, but thought i'd pop em on here anyway. 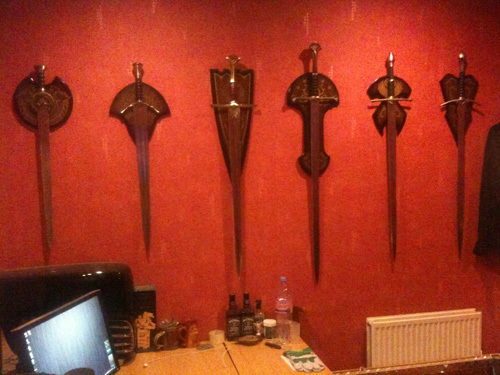 Then onto my 3rd lotr wall, Swords of Théoden, Boromir, Isildur, reforged narsil, Glamdring, and striders sword. 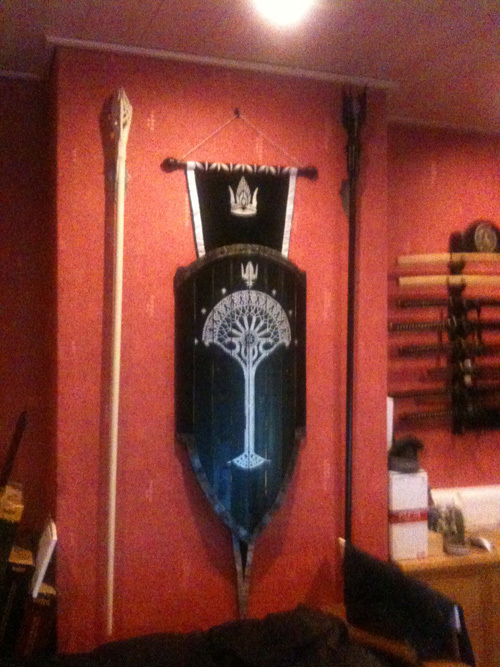 I must admit the rest is still in boxes, and as for the Uruk-hai, thats never going to see the light of day, i only got it for completeness, despise the looks of it. Last edited by Mellony on Fri Jul 08, 2011 12:33 am, edited 1 time in total. 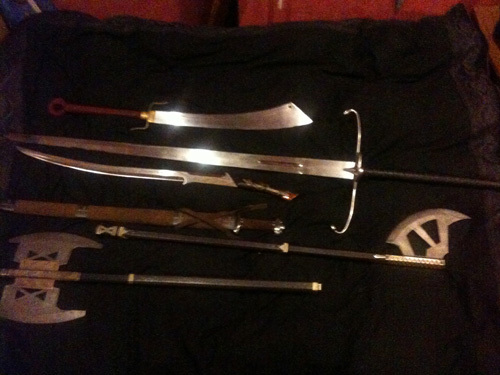 nice collection, I finally bought in some of the recent Gimli Bearded Axes and have a Strider Scabbard here for £60, I think it came back as it wasn't a great fit for the sword,the box might be missing it's outer sleeve - thought I;d mention if of interest. 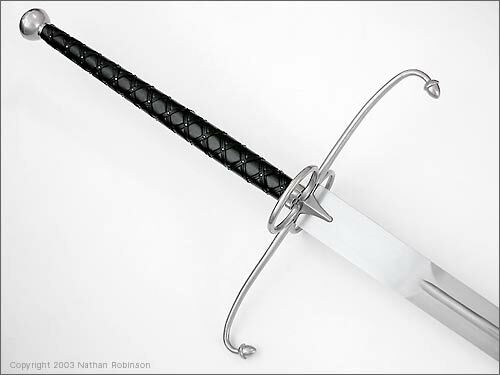 P.S we'll do you a great deal on a Eowyn sword if you wanted, they're on special offer with United Cutlery at the moment. Really love your collection Mell. 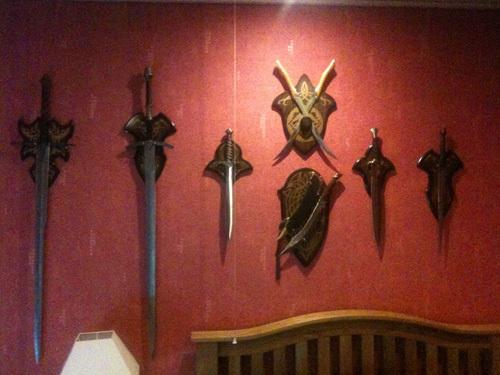 Are there any LOTR weapons you have to get until you have them all? 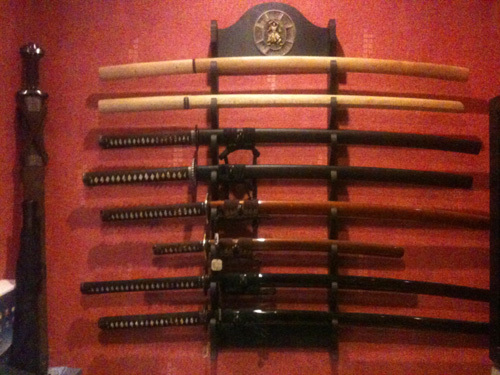 I love Aargons sword.